History of Nova Scotia; Book 2; Part 5; Ch. 16. "Negotiations and A Lasting Peace." Ch. 16 - "Negotiations and A Lasting Peace." At the negotiation table the British had two conditions to be met before they could agree to the end of hostilities -- hostilities, which they kept up to the very last of it4. The two were that there was to be "suitable arrangements for the Indians, and a rectification of the frontiers. 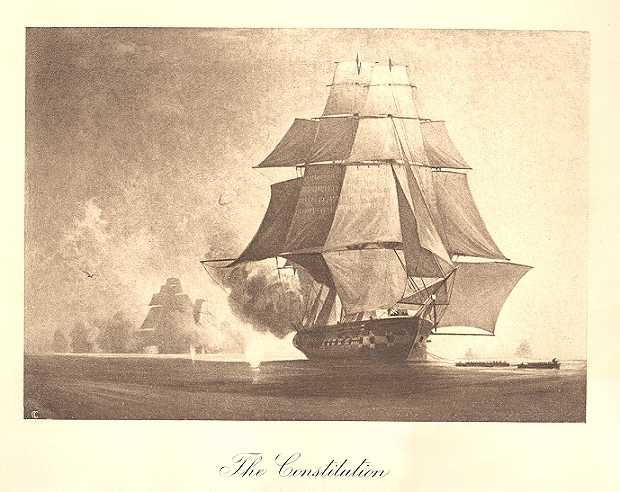 "5 There were also two conditions for the Americans.6 Not surprisingly the two American conditions were that the British should abandon their practice of impressment on the high seas, and compensation for the pre-war seizures of vessels and cargoes. These conditions the British refused to accept. The Americans were powerless to do anything about the refusal of the British, and indeed, to force their own conditions upon the British. Both countries, however, were keen on ending the expensive war. A simple expedient was used in the short treaty — the parties agreed to meet in the future to see if these matters might be sorted out. Taken from Sea Power in its Relations to The War of 1812 , vol. 2, frontispiece. It is labeled a "Copley Print, published by Curtis & Cameron, Boston." 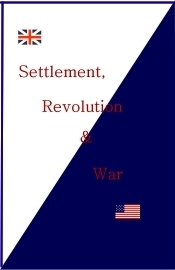 The Treaty of Ghent was the last treaty of peace between Great Britain and the United States. It is one that has lasted. Why? Well principally because both sides withdrew to their prewar positions. Thus neither side could consider the treaty as a conquest. It should be noted, too, that because of this treaty, the United States became, alongside with Great Britain, a major player in world politics. So too, because of this treaty the United States finally accepted the existence of its northern neighbor, Canada as a legitimate identity, and not think of it as another piece of territory to be absorbed, directly the United States was strong enough to do so.12 The Treaty of Ghent did, however, give a clear go-ahead to the United States to expand as it wished anywhere south of the 49th parallel, at the expense of the Indians and the Spanish alike. The effect in the United States was to tip the balance to the Hamiltonians, those who wanted a strong central government, versus the Jeffersonians who wanted less government. Before the war the question was up in the air, but after, no longer. On the first of March, 1815, Napoleon returned from Elba, and his return was considered by some to be the triumph of popular right over usurped power. On June 18th, in a little village just south of Brussels the "Iron Duke" triumphed over the "Man of Destiny" in the Battle of Waterloo. On June 28th, the French monarchy in the person of Louis the XVIII was returned to the throne, bringing an end to the Napoleonic dreams of glory and long years of European war. There then began a period which came to be known as the Great Peace. It was an era which saw new industry and the building of great factories where steam hissed in their pipes. Off the English and American docks could be seen forests of masts and the beginning of new stumps of funnels. Thus began from 1815, onward, a period of revolution: social, industrial and political. Modes of life and ways of thought, little changed for generations, were to be abandoned. Great ferment was in the air and old beliefs were no longer to be unquestioningly accepted. Life for many was a new and exciting adventure. Such times are conducive to the production of exceptional characters. This will form the background of the third Book on the History of Nova Scotia. -- The End of Book Two.